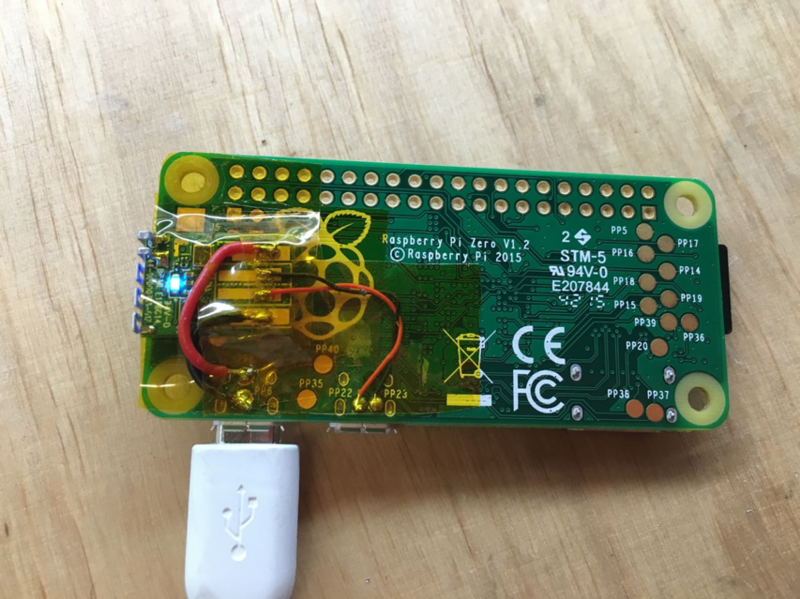 Raspberry Pi Zero WiFi Hack #PiZero #piday #raspberrypi @Raspberry_Pi « Adafruit Industries – Makers, hackers, artists, designers and engineers! I have received my brand new Raspberry PI Zero. I really like the small size of the PI Zero, but one feature is missing for a lot of projects: Network capabilities!! So, I have carefully removed the case from the Edimax WiFi USB Adapter, taped it with Capton tape and bodge wired it to the PI’s USB port. It was quite easy because there are test points for USB power and USB data pins. Because the USB data lines are differential lines, you have to keep the two wires equal in length. I have used a another RasPI to setup the WiFi credentials.